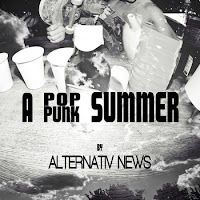 French music website, Alternativ News have released a new pop punk compilation called 'A Pop​-​Punk Summer'. The free compilation includes tracks by Living With Lions, With The Punches, I Call Fives, Half Hearted Hero, Me Vs Hero and more. The compilation can be downloaded from Bandcamp. Stickup Kids - See? Even Billy Idol Gets It!